(EL UNIVERSAL) He was imprisoned when he was 17 years old. He is somewhat attached to Venezuela, as he fled for the Venezuelan Embassy from jail in 1961. 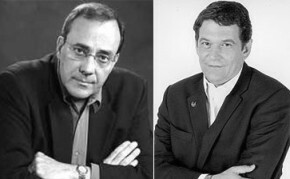 Carlos Alberto Montaner has been in exile for almost half a century without losing his composure. He is the author of 25 books, a columnist, university professor, political activist and confessed liberal. He thinks that, besides the extreme need of the Cuban regime for the Venezuelan aid, there is an affective component in Fidel Castro in his endeavor to rescue what he views as his only, real heir. You have always postulated Cuba-Venezuela Federation. Is it not a mistake, considering that while in Venezuela there is an attempt at imposing "transition to socialism," as top government officers say, in Cuba, to the contrary, there is transition to capitalism? Actually, those obsessed with the merger were Fidel Castro and Hugo Chávez. It seems to me a ludicrous aim. 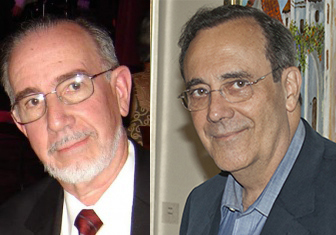 Ending 2005, Carlos Lage, then Vice-President of the State Council, and Felipe Pérez Roque, the Cuban Minister of Foreign Affairs, publicly backed such union between Caracas and Havana. Sure enough, they were following Fidel’s orders. At that time, President Hugo Chávez gave his blessing. It looked like a short-term operation and they even appointed some committees to study a juridical integration of both countries. However, everything came to a halt. Because the reaction in Cuba was terrible. When Lage said that Cuba had two presidents, Fidel and Castro, such a remark fell down like a bomb on the island. Cuban military men are not so much respectful of Chávez, and the government has cultivated fierce nationalism for decades. That was kind of an act of treason. 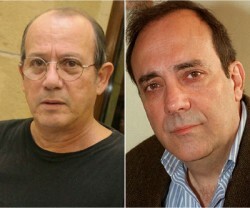 Further, Fidel got sick in the summer of 2006 and Raúl does not believe in such fabrications. In this way, the project was put on ice. Fidel Castro smartly handled the issue of his disease and succession. To what extent is he doing likewise with Chávez’s cancer? Chávez’s cancer has been terrible news for Fidel Castro. Now, Havana tries to control a Venezuela, where Chávez could die. Such a scenario keeps them awake. The primary task of Cuban services, which are very clever for that matter, and their best strategists, in the event of Chávez passing away, is preventing that endless source of available wealth from slipping away. Why Chávez did not go to Brazil, as it was announced? The Castros would not let the patient go to Brazil. They convinced him that nowhere would he be taken care of as good as in Cuba. Controlling Chávez at this time and trying to keep him alive increases the chance of grasping Venezuela’s future. Do you think that Venezuelans and the world have not realized that Chávez has handed over most of his powers and this could cause a power vacuum able to unleash a full-scale political crisis? They should know it. The foreseeable thing is that, if the caudillo dies, in the short or medium term, he will take his government to the grave. In Venezuela, there are neither institutions nor a true ruling party. There is just a charismatic leader who will hardly transfer the power to a successor. How can the issue of succession be solved in a country where everything revolves around Chávez? Either sick or off duty, is political change by electoral means not ensured? Raúl Castro is a grayish man who does not need votes. Adán Chávez has not charisma at all and does need votes. Can be leadership be transferred in the Venezuelan case? It is very difficult. 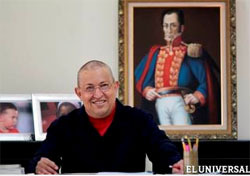 For that reason, Adán Chávez said that election is not the only means of doing revolution. He is preparing in the event of taking office forcefully. In the absence of Hugo, the government elite will probably espouse Adán to keep its political project and privileges. Hardly possible though, is for them to admit electoral defeat and go home. What do you reckon the fact that Chávez took the word "death" out -getting rid of the red color- and criticized sectarianism? It seems that Chávez is very frightened. His relationship with Fidel and the protection sought in Havana attest to it. It is likely that being close to death made him revise everything. When people approach death, they usually change their priorities and cool their passions down. That Chávez who was taking the communion was not cheating Venezuelans -he was scared. Share the post "“Chávez’s cancer keeps the Castro brothers awake”"